The simple dot style as well as cross hatching maybe beautifully aesthetic to the eye but has a far more hidden meaning and deeper purpose; to disguise the sacred meanings behind the stories in the paintings. Before Indigenous Australian art was ever put onto canvas the Aboriginal people would smooth over the soil to draw sacred designs which belonged to that particular ceremony. Body paint was also applied which held meanings connected to sacred rituals. These designs were outlined with circles and encircled with dots. Uninitiated people never got to see these sacred designs since the soil would be smoothed over again and painted bodies would be washed. This was not possible with paintings. Aboriginal artists abstracted their paintings to disguise the sacred designs so the real meanings could not be understood by Westerners. Dot painting originated 40 years ago back in 1971. 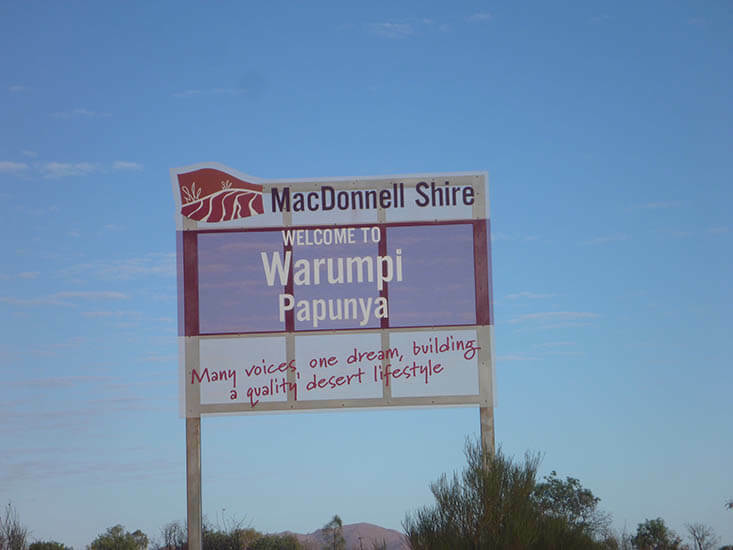 Geoffrey Bardon was assigned as an art teacher for the children of the Aboriginal people in Papunya, near Alice Springs. He noticed whilst the Aboriginal men were telling stories they would draw symbols in the sand. Bardon encouraged his students to paint a mural based on traditional dreamings on the school walls. The murals sparked incredible interest in the community. He incited them to paint the stories onto canvas and board. Soon many of the men began painting as well. At first they used cardboard or pieces of wood, which was later replaced by canvas. 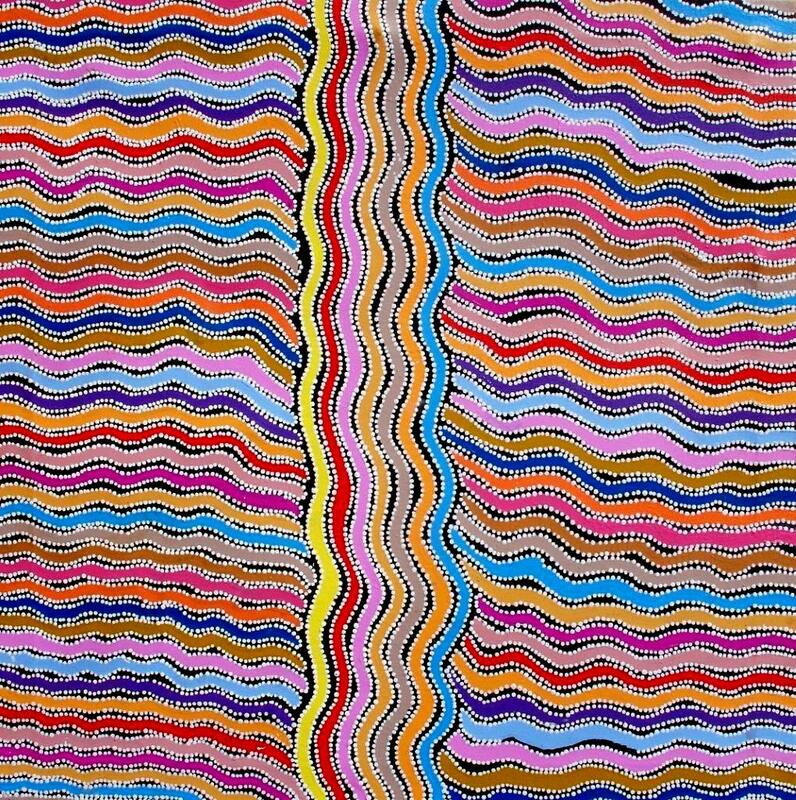 This began the famous Papunya Tula Art Movement. Bardon helped the Aboriginal artists transfer depictions of their stories from desert sand to paint on canvas. The Aboriginal artists soon became concerned that the sacred-secret objects they painted were being seen not only by Westerners, but Aboriginal people from different regions that were not privy to their tribal stories. They did not want them to understand or learn the sacred, restricted parts of their stories so the artists decided to eliminate the sacred elements and abstracted the designs into dots to conceal their sacred meanings. Early Papunya paintings showed strong representations of artefacts, ritual objects and spiritual ceremonies. This style disappeared within a few years. The first paintings to come from the Papunya Tula School of Painters were never intended to be sold. They were purely created by the Aboriginal people who were displaced, and living a long way from their original home country. The works were visual reminders of their own being. They painted land that they belonged to and the stories that are associated with those sites. In essence they were painting their identity onto the boards, as a visual assertion of their identity and origins. Originally colours were restricted to variations of red, yellow, black and white produced from ochre, charcoal and pipe clay. Later acrylic mediums were introduced allowing for more vivid colourful paintings. These art works could show dots, cross hatching, maps of circles, spirals, lines and dashes which is the long established pictorial language of Western Desert Aboriginal People. 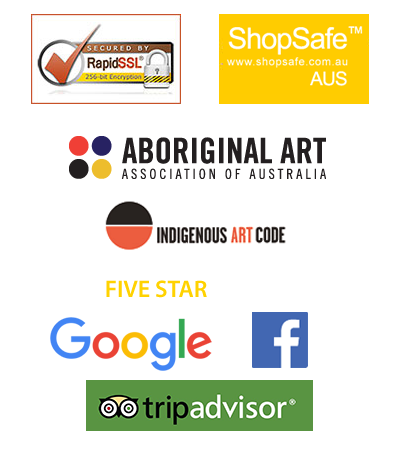 Aboriginal artworks painted in acrylic are a beautiful blend of traditional and contemporary. The dot technique gives the painting an almost 3D effect and a sense of movement and rhythm. Many people comment that the paintings look alive and that they literally seem to jump out at you. The flat canvas comes to life with energy and vivacity just like the dreamings and rituals that inspired them.